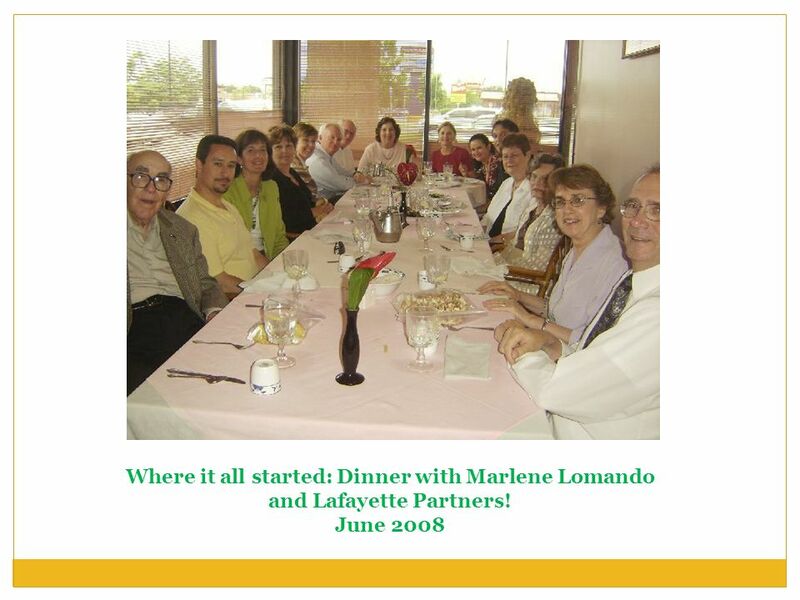 2 Where it all started: Dinner with Marlene Lomando and Lafayette Partners! 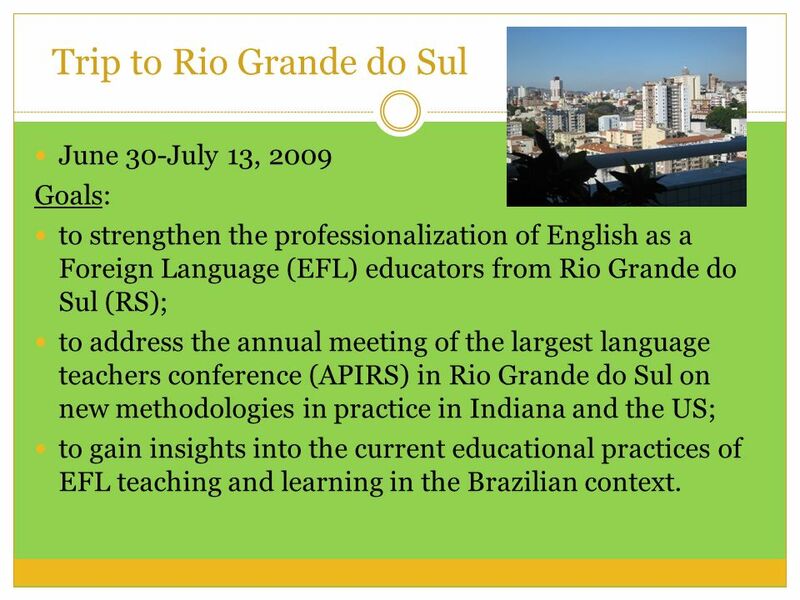 June 30-July 13, 2009 Goals: to strengthen the professionalization of English as a Foreign Language (EFL) educators from Rio Grande do Sul (RS); to address the annual meeting of the largest language teachers conference (APIRS) in Rio Grande do Sul on new methodologies in practice in Indiana and the US; to gain insights into the current educational practices of EFL teaching and learning in the Brazilian context. 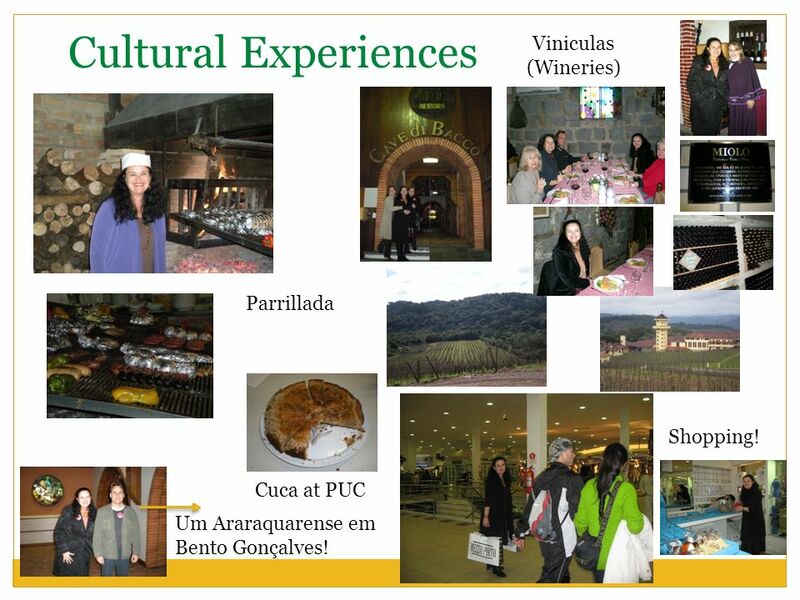 4 Cultural Experiences Viniculas (Wineries) Parrillada Shopping! 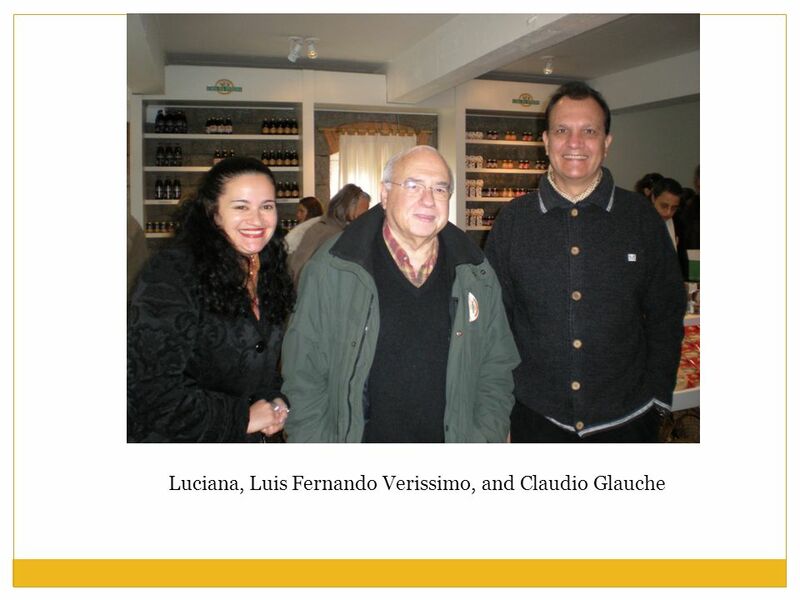 Cuca at PUC Um Araraquarense em Bento Gonçalves! 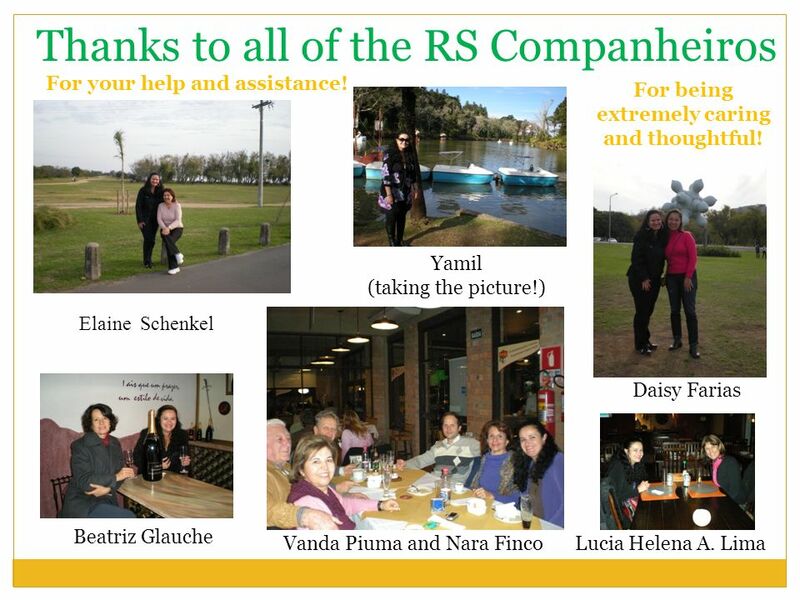 9 Thanks for helping me complete my travel grant application! 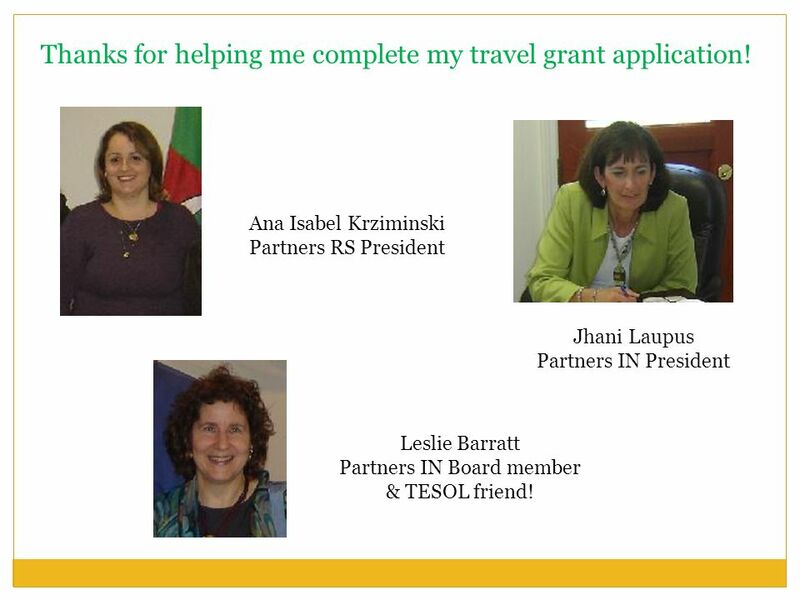 Ana Isabel Krziminski Partners RS President Jhani Laupus Partners IN President Leslie Barratt Partners IN Board member & TESOL friend! 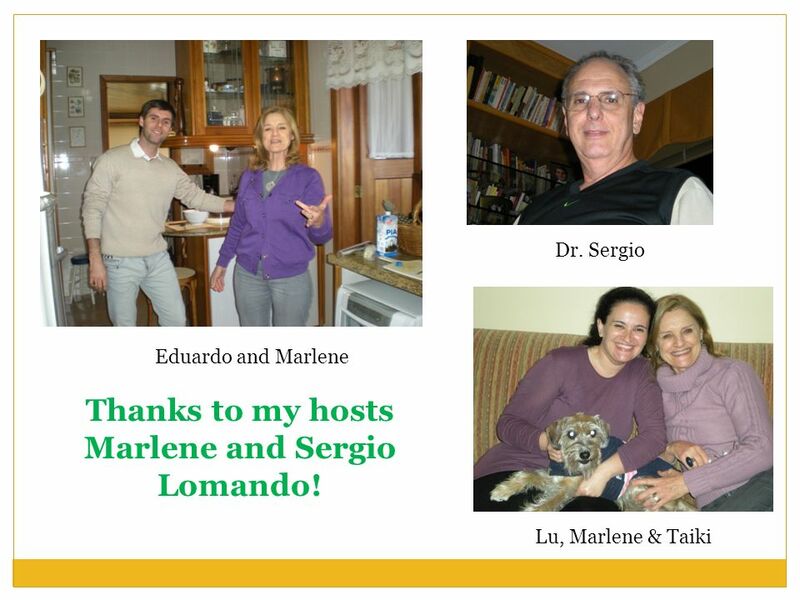 10 Thanks to my hosts Marlene and Sergio Lomando! 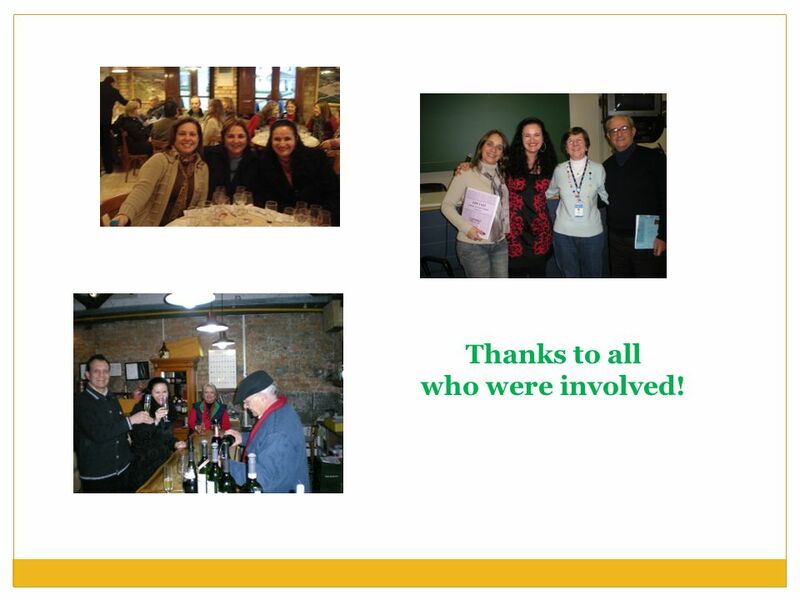 11 Thanks to all who were involved! 12 For your help and assistance! 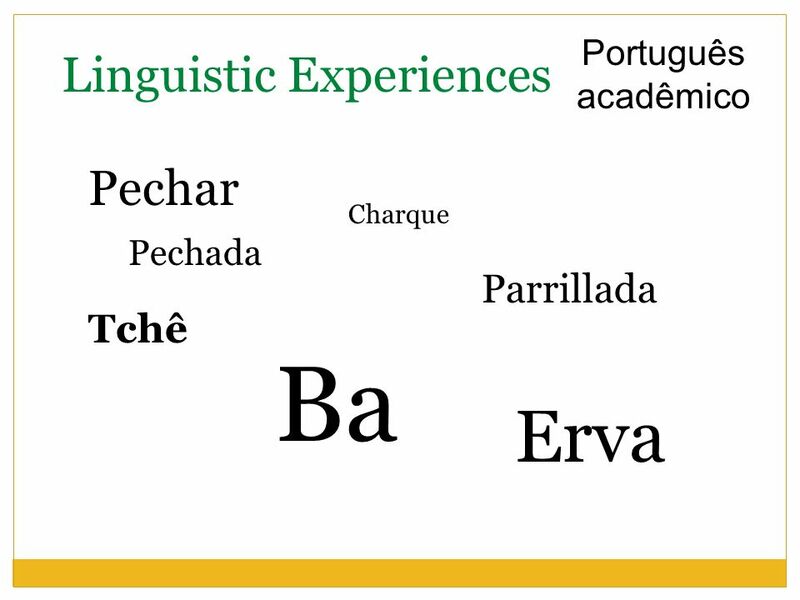 Carregar ppt "Dept of Curriculum & Instruction"
(Special designed academic instruction in english - SDAIE) The Lingo of Learning: 88 education terms every science teacher should know Capítulo Diversity. 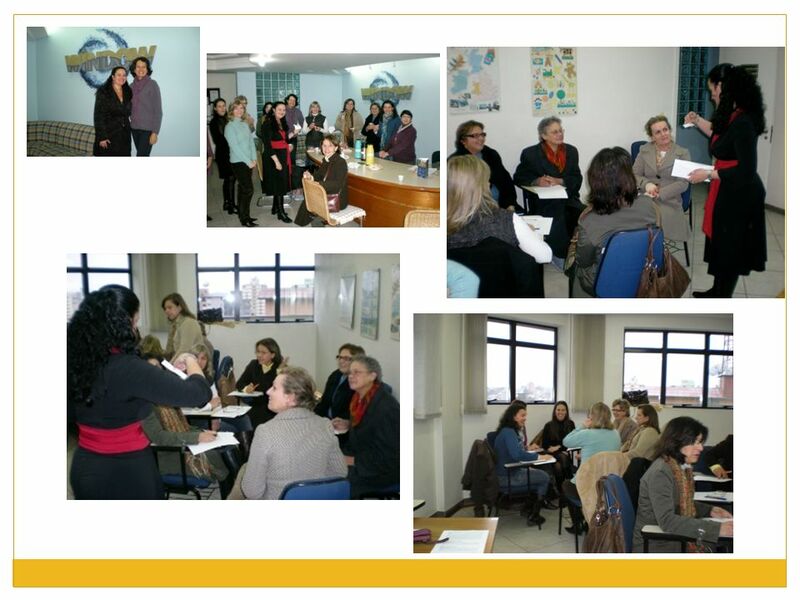 HOW CAN I GO ON COMO POSSO CONTINUAR. 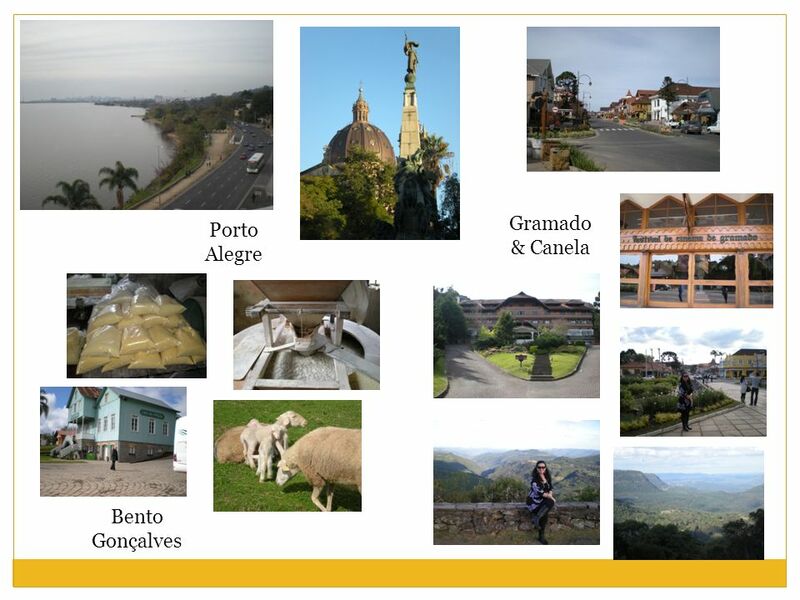 This away Desta maneira When all the salt É como se todo o sal Is taken from the sea Fosse retirado do mar. International Seminar on Bilateral and South- South Cooperation TUCA cooperation meeting South-South Cooperation: the perspective of Global Partnership. There comes a time at which we must get rid of our old clothes, which have taken on the shape of our body, and forget our old ways, which always take. EXPRESSIONS 1. 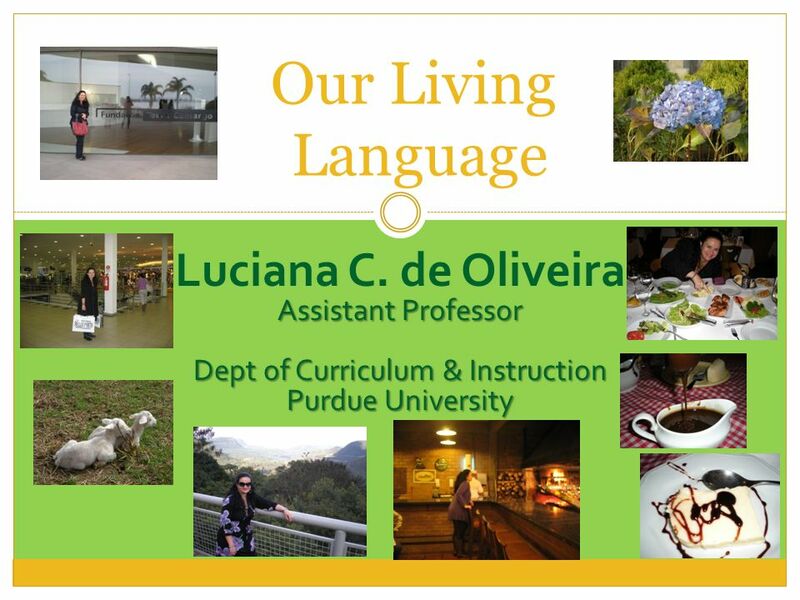 Thank you (very much!) Thank you, too.